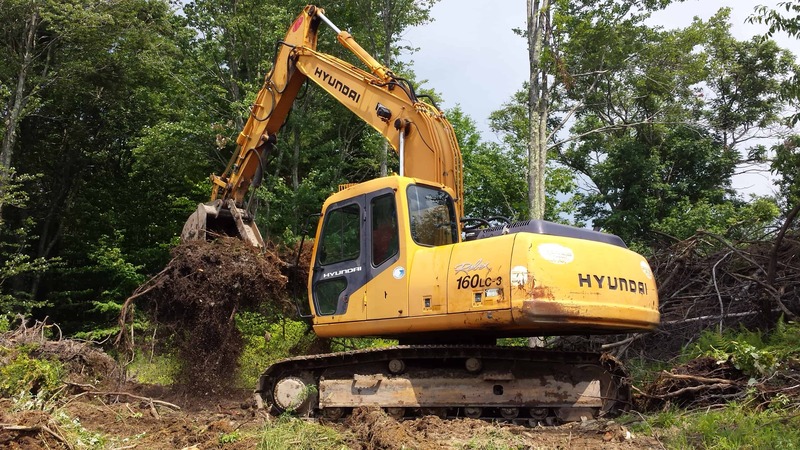 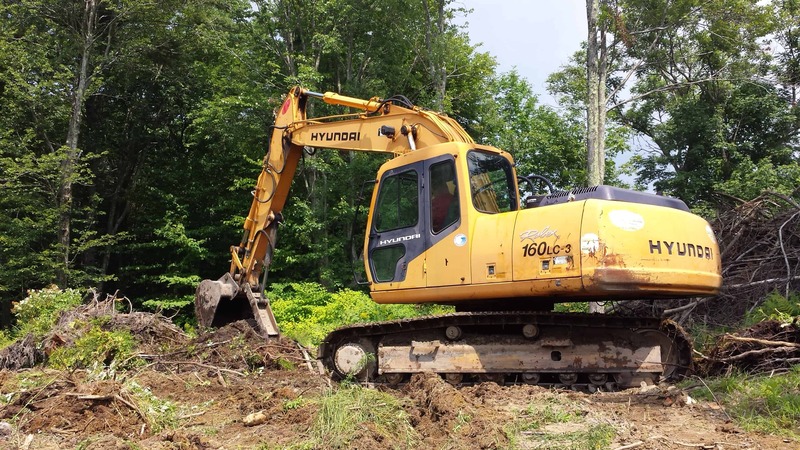 After clearing the trees in this yard expansion project, Top Notch Landworks brought in a excavator to remove the stumps. 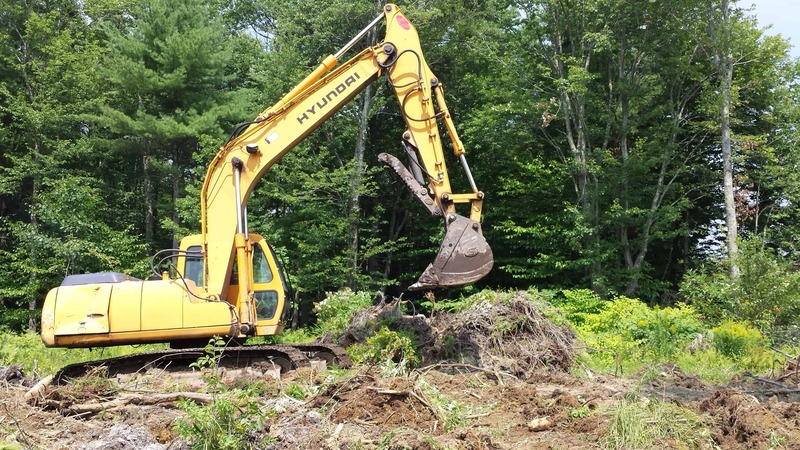 Stumps were carefully dug and piled to be hauled off. 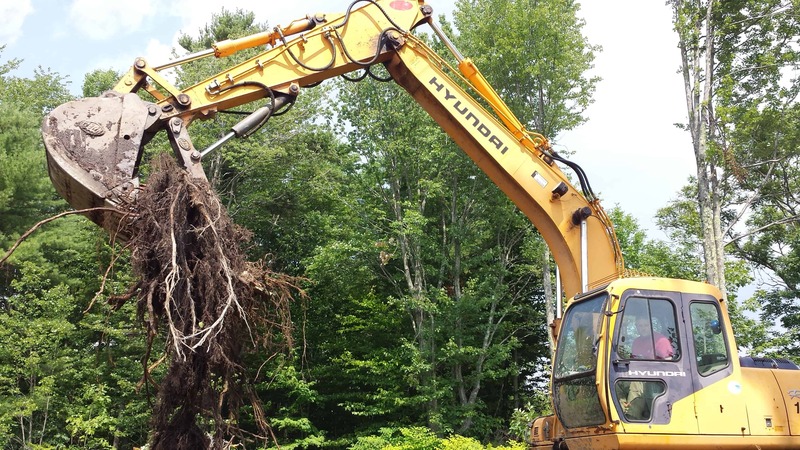 Retain as much soil from the stumps as possible.